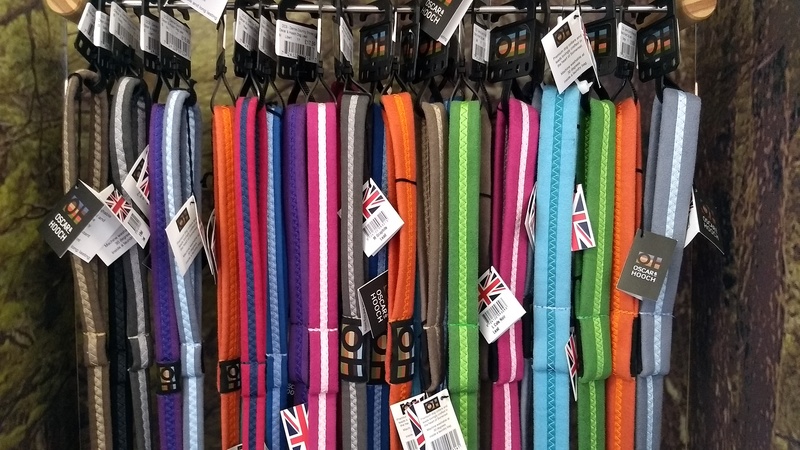 Our Range of collars and leads is varied. Some styles in our lead selection are: rope leads, nylon leads, slip leads, leather leads, chain leads, extendable leads and training leads. Our collars consist of leather collars, nylon collars, check chains, nylon/leather half check chains and greyhound and whippet collars.Many of our collars and leads come in coordinating designs and colours and we cater for our more ‘blingy’ customers by providing diamante collars and leads for both cats and dogs. 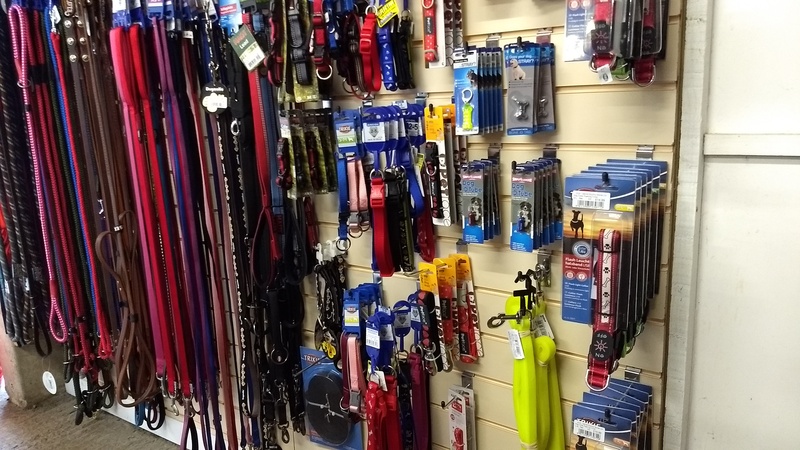 We also stock a range of harnesses for dogs, cats, rabbit and ferrets as well as accessories such as ID tags, Light up pendants, couplings and bells. At Denne Country Stores we stock a range of plastic and nylon muzzles to fit all sizes. We also stock a variety of different training equipment to help correct behavioural issues some dogs develop. These include non pull harnesses, training ‘headcollars’, training leads/lines, clickers, whistles and Gun Dog dummies. Many of these products come with instructions on how to use and tips to help with training and our staff are always on hand to offer advice as many are dog owners themselves. We do also carry stop chew sprays, cat nip sprays and wee off sprays to discourage other unwanted behaviour from your pets.